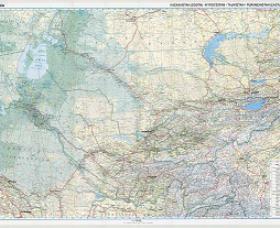 The Tajikistan Maps Index gives acces to all Maps relevant to Tajikistan in Central Asia, and Area's of Specific Interest within that Region, as used and/or produced by TajikistanReport.com. 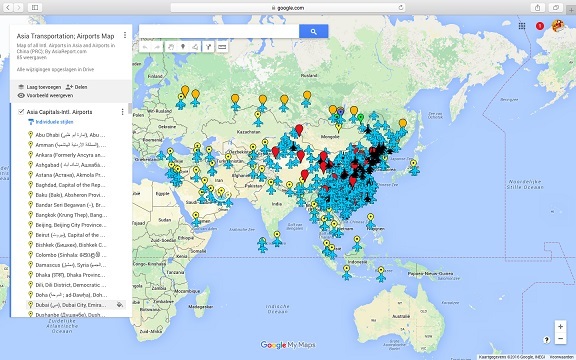 Please use these Maps to find your way easily around the Province, Cities, Area's and many Monuments & Landmarks. 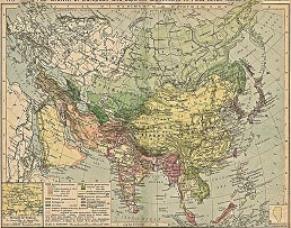 Geographic Maps of the main Silk Road Path, maps of Silk Road byways, the Route of Marco Polo in Central Asia, and various other historic maps and journeys. 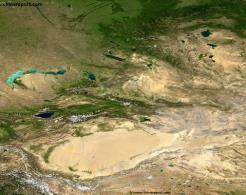 A Full Google Earth Supported Map of Tajikistan by Google.com. 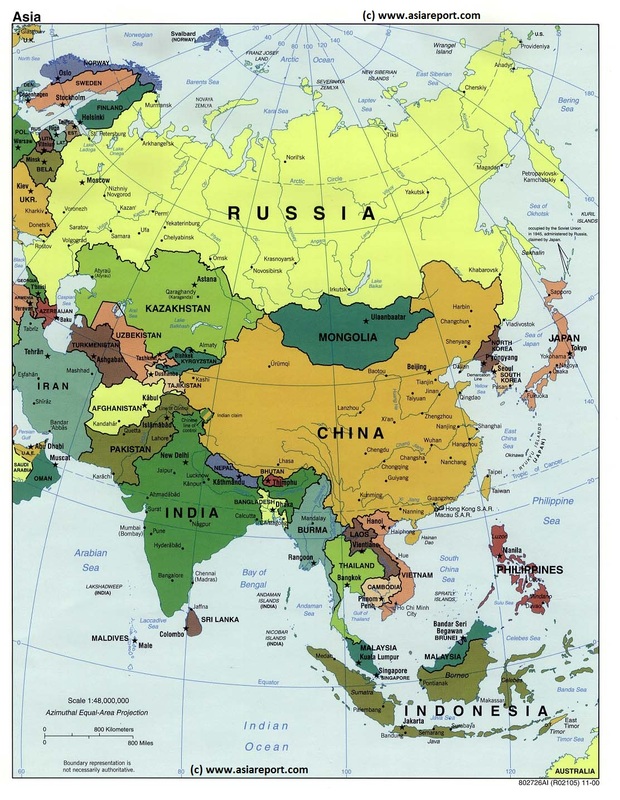 Asia Report introduced on Levels of its Online Publishing's in April of 2009, first including the mountain Nation of Tajikistan. 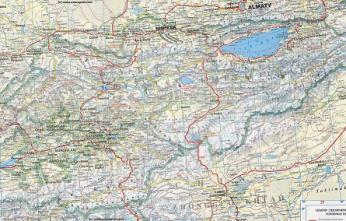 Adjacent Map gives direct access to Map Of Tajikistan by Google. 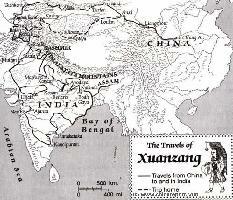 A Schematic overview Map of Xinjiang-Uygur Autonomous Region entire and large parts of neighboring Nations of India, Pakistan, Afghanistan, Tajikistan, Kyrgyzstan and Kazakhstan, Russia, The Republic of Mongolia, as well as Chinese Provinces and Territories of Inner-Mongolia AR, Gansu Province, Qinghai Province and Tibet Autonomous Region. 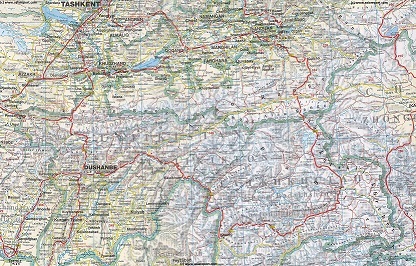 This Map Includes Cities and Towns (shown by size), Main Monuments & landmarks of Xinjiang AR, the Taklamakan Desert in South-Central Xinjiang AR, major highways, provincial railroads, a variety of border passes in the Karakoram Mountain Range and the Tian Shan Mt. Range, plus main waterways, rivers and lakes of this large region. A Schematic overview Map of the Entire Lenghth of the Karakoram Highway (KKH), known as the highest paved road in the World. 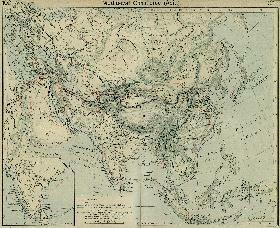 Map Area depicted: Karakoram Highway in the Region between Kashgar in China and Islamabad and Peshawar in Pakistan. 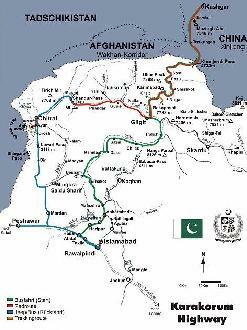 Clearly depicted is the Path of the Karakoram Road through Taxkurgan Tajik Autonomous County, Khunjerab Pass, Kunjerab River Valley, Bara Kun Lake, Hunza River Valley, Indus Valley, Khagan River Valley to its destination at Islamabad. Main Items of interest - Main Mountain Peaks of the Area with Height, small towns, Tourist and Historic Locations and Landmarks, Main Rivers, current WAR ZONE of the Swat Valley and other dangers on this road, the North West Frontier Province of Pakistan, Ethnic Regions and language Area's, Kashmir, FATA Federally administered Tribal Area's on the Pakistan-Aghanistan Border and more. 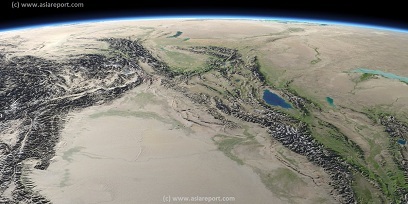 A Second Satellite Image Map of the entire Taklamakan Desert and the Tarim River Basin in Xinjiang-Autonomous Region of Western China. 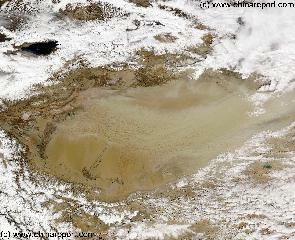 During the Time this Image was taken it was early spring; Mountains were snowcapped and a dust storm is blowing in the Central and Most Arid Regions of the Tarim River Basin. 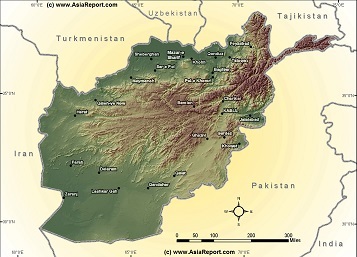 Map gives explanation and backgrounds to Local Geography, the Flow of the Tarim River from the Pamir Mountains in the West to Lop Nur (Dry) in the East, ancient Oasis Cities of the Tarim Basin and Taklamakan Desert, the North and South Routes of the Silk Road in this Area, Past and Current Climate and Historic Backgrounds. 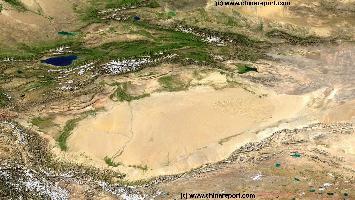 A Satellite Image Map of the entire Taklamakan Desert and the Tarim River Basin in Xinjiang-Autonomous Region of Western China. 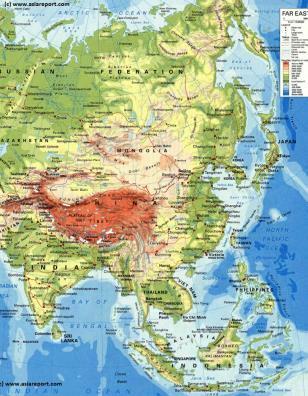 Satellite Images used as Maps; Xinjiang-Uyghur AR, Taklamakan Desert, Tian Shan, Karakoram, Kunlun and other Mountain Ranges, Tibetan Plateaux, Central Asia and parts there of.